Remember the days before caller ID? When you could be all emo and sulky and really need to hear the sound of someones voice with no question and no explanation. You could just call them and hang up. Even after hearing that questioning. That longing sadness in their “Hello?”. I settled into bed last night to watch Reality Bites for the first time in more than ten years. I’d forgotten so much about it (Like, I’d forgotten that Ben Stiller was in it. How on earth does a girl forget a thing like that?) It was what I expected it to be though. What I needed it to be. Sometimes movies from your past, songs from way back when, books you read once upon a time say more about you at the moment you enjoyed them than they can ever say about themselves. I was basking in that angst. In the ennui. Soaking in nostalgia. 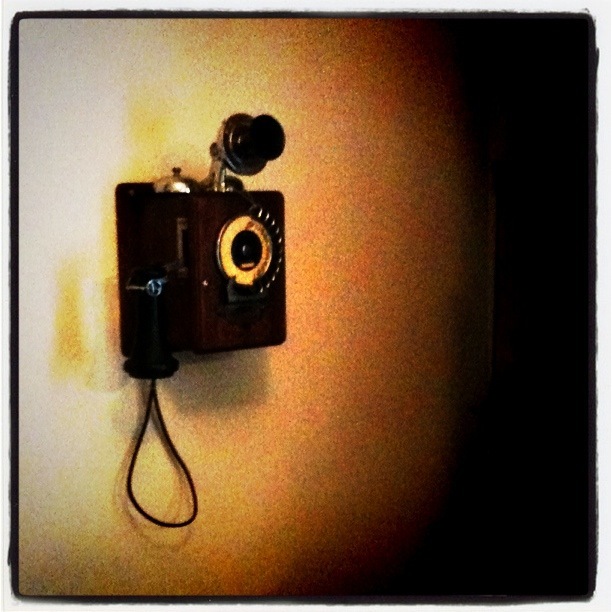 It was back in the day before caller ID and cellphones were common place. I mean Ben Stiller’s Michael had a cell phone but it was treated as the curiosity it was 17 years ago. And he called Lelaina at a diner because he just HAD TO get a hold of her right then. I can’t help but wonder how different this tale would be to tell now when communication can be, and usually is, nearly instantaneous. What have caller ID and cell phones done to life, love, and reality? Ack! Now I need to rewatch Reality Bites. I remember watching it and thinking those people were the COOLEST PEOPLE EVER. My kids are genuinely disappointed that they can’t easily make crank phone calls any more. Every time there is one on the Simpsons, my kids think I am so lucky there was no caller ID when I was a kid. The best part is not answering when it’s someone you DON’T want to talk to. Otherwise, yep – it can be annoying. They’ve made a lot of people I know absolutely HATE the phone!